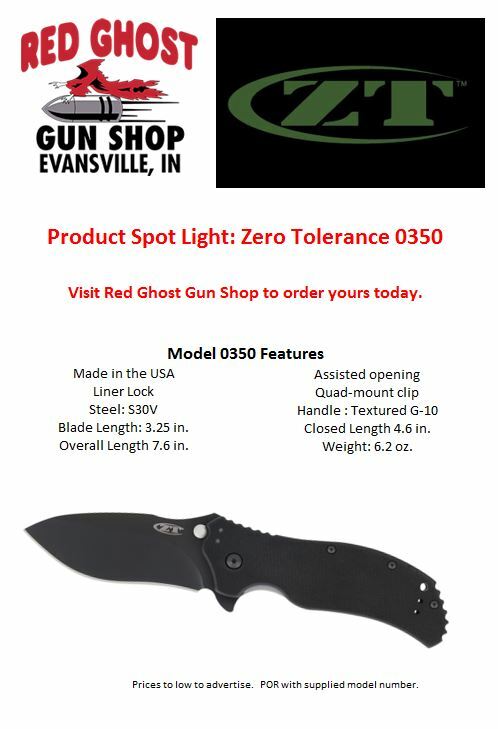 g a ZT dealer to several of the guys at the shop. 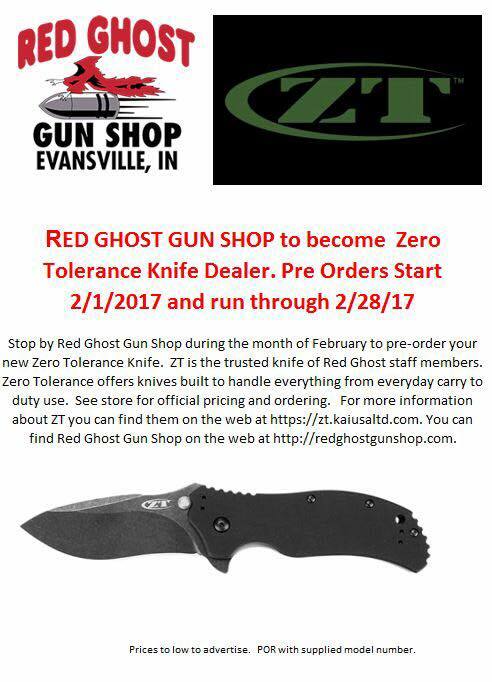 We were all on board, and we are attempting to build a pre-order for knives so that we can qualify as a ZT dealer. If you’re interested in more info on the knives, visit their website, send us a message on Facebook, give us a shout on the phone, or just come into the store. Pre-orders run through the end of the month! Unfortunately, we cannot advertise pricing, however, rest assured that you will not find a better advertised price available.